Every once in a while you come across a place that feels like home…a place that has charm and culture and leaves you feeling alive and ready to grow some roots. Sioux City is not one of those places. Since we need to get our South Dakota driver’s licenses in order to complete our residency requirements, a trip to the state was in order. One of Clark’s work buddies had moved back to Sioux City and recommended a nearby campground perfectly situated right off of the highway and close to his house. We initially planned to stay at the State Park but Sam convinced us that the KOA was ‘where it was at’. We conceded. We are not “KOA people” and usually avoid them except as a last “resort” (see what I did there). Most are very overpriced and offer amenities more suitable for weekenders instead of fulltimers. And at $44 per night…in a non-touristy location, the Sioux City North KOA left a bad taste in my mouth. After all, it’s Sioux City for Christ-sake…not Disneyland! 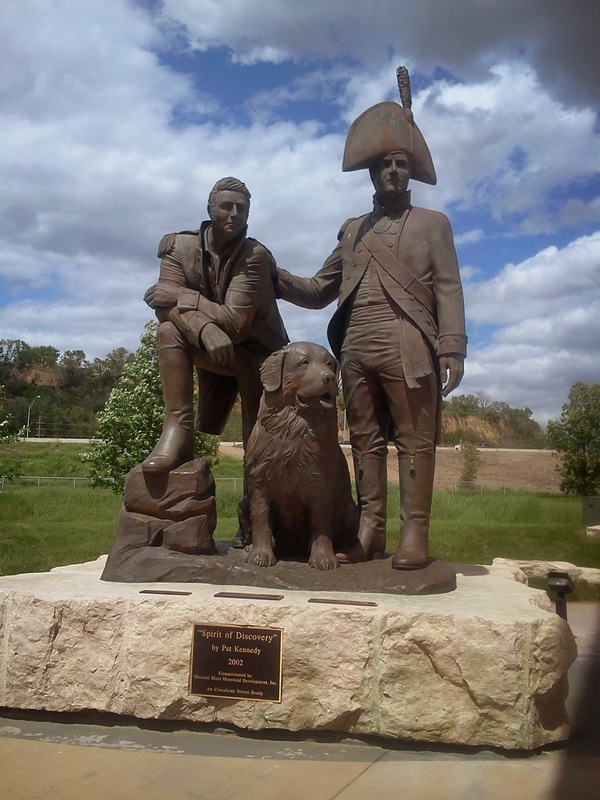 Lewis and Clark with their dog, Seaman. 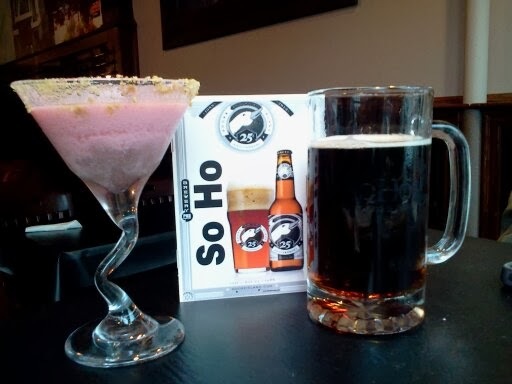 Strawberry Cheesecake Martini and a craft beer at Soho‘s in Sioux City. We ate downtown, which at least appears to be making an attempt at a comeback (although I’m not sure if there ever was a place in time worth ‘coming back’ to). Little eateries and bars line the street, each of them with a kitschy feel…but at least they’re trying. We also ate brunch at Bev’s on the River with a small group. After hearing rave reviews about this place I might have had my expectations set a little too high because it ended up being just as expensive and disappointing as the KOA. You can read my review here. One of the lessons we are learning as fulltime travelers is that sometimes the “best” restaurant in the city doesn’t mean much if there isn’t any competition. It’s like comparing IHOP to Denny’s and declaring one of them the Best Place to Dine in 2013 when really, neither is all that good. Yes, the Sioux City KOA thinks highly of itself…perhaps it’s proud of it’s proximity to the Kum & Go gas station where you can order pizza and have it delivered to your site? Or maybe that it’s near the river…which we never could find access to? What we did find out was quite a few locals use the park as a weekend party place in the summer, leaving their travel trailers parked there all week and coming out for huge BBQs and late night drinking binges on Friday and Saturday. Fortunately for us, we were able to befriend a few of these people and became part of the party rather than sitting in our RV being annoyed by the noise and late hours. 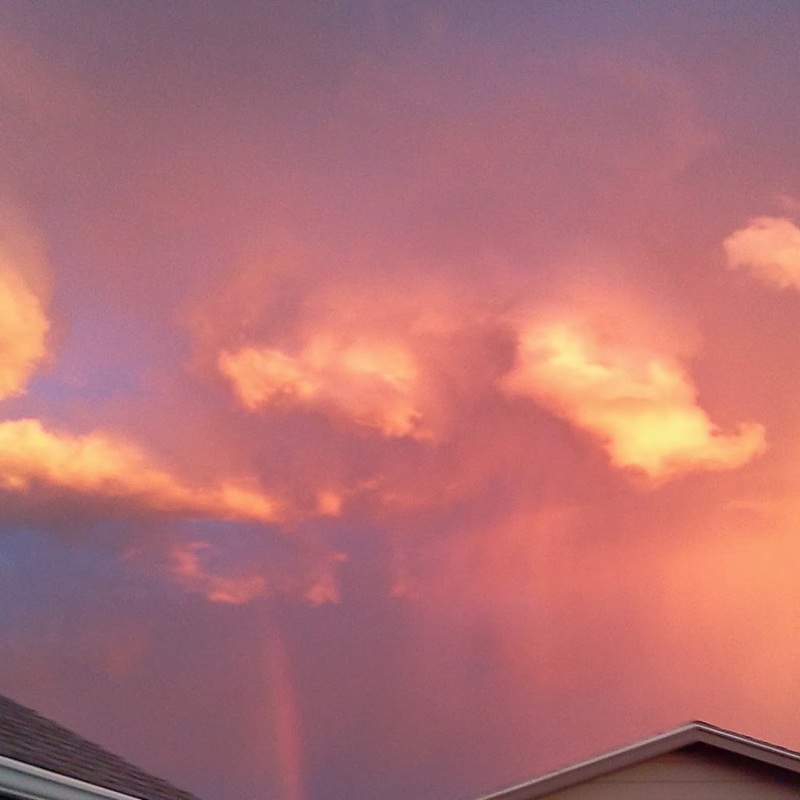 Cool sky view during one of the tornado warnings we had during our stay in Sioux City, SD. As I scour my albums looking for pictures of our visit to include in this post I am still at a loss for the appeal of this park and the city in general. Obviously there must be something that attracts people to this place. Of course neither of us expect that every stop and every city offer up entertainment and picturesque settings. Not every place can be a New Harmony or Bisbee, Arizona and that’s one of the beautiful parts of this fulltime lifestyle…finding those places we love and dislike…a lot. 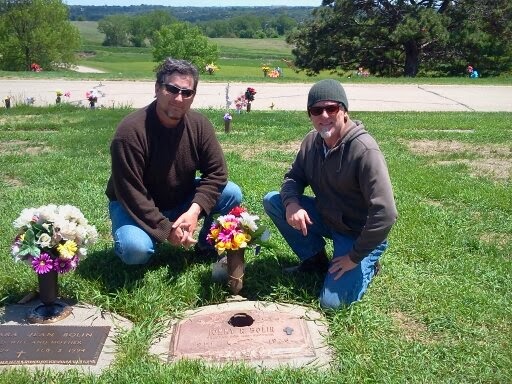 The silver lining was being able to spend time with Sam and his wife, Betty. Sometimes there are benefits that far outweigh the dreariness of the weather or the price of a crappy RV park.